Ron Huibers may be new to the presidency of Volvo Penta of the Americas, but he is a seasoned veteran of the Volvo Group. Huibers had been president of sales and marketing, North America, at Volvo Trucks Americas, where he oversaw more than 25,000 annual unit sales through private distribution networks and national accounts. 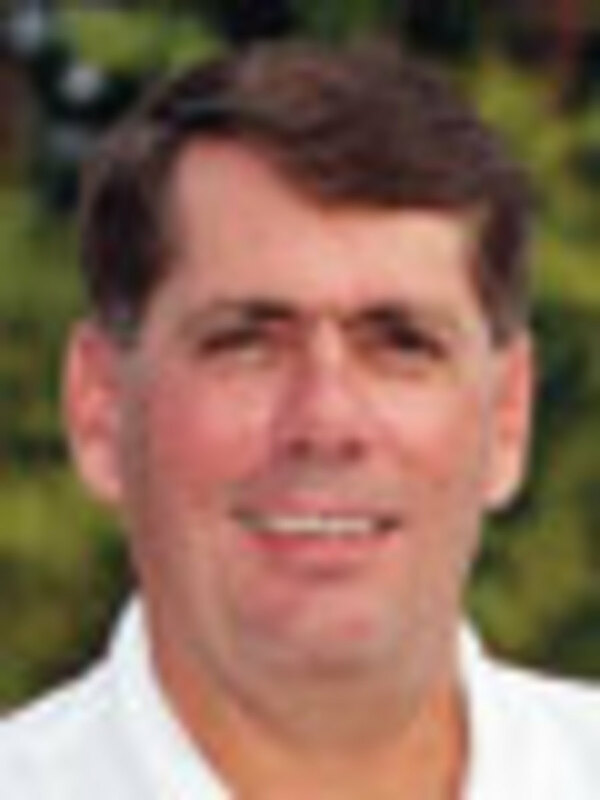 Huibers, who has worked within the group for 20 years, took the helm last September after Clint Moore’s retirement. He has held North American and international executive positions within the Volvo Group, including Volvo Construction Equipment, Volvo Financial Services, Mack Trucks and Volvo Trucks. As a longtime boat owner he’s looking forward to mixing business with pleasure. In his new role, Huibers is responsible for Volvo Penta’s operations in North, Central and South America in the newly formed Volvo Penta Region Americas. Soundings Trade Only caught up with Huibers in January to see where the engine giant is heading. Q: How does Volvo Penta fit within the overall Volvo organization? A: Volvo Penta is a key business component in the overall Volvo Group. Our business at Volvo Penta falls into three major groups: leisure marine, commercial marine and industrial — the latter segment includes engine blocks for gensets and heavy equipment. We make engines from 13 hp to 900 hp. A lot of people are not aware of the range of our product offerings. I like to refer to Volvo Penta as the “soul” of the Volvo Group when it comes to engineering and innovation. In 1922 we came out with the first outboard engine. In 1959 we pioneered the first sterndrives, followed by duoprops. In 2004, Volvo Penta introduced the IPS, which was clearly a revolutionary product because it brought ease of operation to the industry with the integrated joystick. Children could dock these vessels in 20-knot winds because of the joystick. 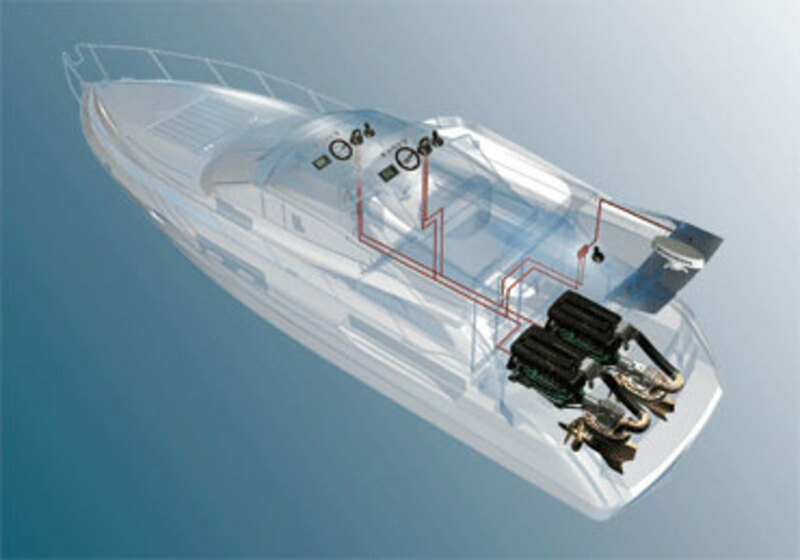 Q: What kinds of things does Volvo Penta have on the drawing board? A: As you know, we only announce new products when we are ready to bring them to market. At Volvo Penta, we have been tasked with growing the marine business, both leisure and commercial. During the economic downturn we sustained our investment in product development, so we are poised in a good position looking forward. Our product development has to do with quality of life. If you think about boating, and I’m a lifelong boater, these are the best memories. What we’re doing is to make that experience, from a quality-of-life point of view, as easy and enjoyable as possible. I can tell you that we are continuing to improve the integration of engines, drives and controls to make the boating experience more enjoyable by making boats easier to operate. Q: Can you tell us about the organizational changes at Volvo Penta and what they mean to the marketplace? A: Effective Jan. 1 we completed a major organizational realignment with the creation of Volvo Penta Region Americas, which now includes South America, Central America and the Caribbean. Previously they fell under a different organization. One of the reasons behind this change is to bring more consistency to our procedures, especially in customer service. We had a discontinuity in those areas in the past. We believe that when a North American customer sails his boat to the Caribbean or South America, it should be a seamless experience when it comes to obtaining Volvo Penta service and support. We know we had missed some opportunities because customers went to those regions and had a different experience than they were used to having. That’s what we’re working to fix. Q: What is your focus for Volvo Penta of the Americas? A: It’s really about making the experience fun and easy for customers. Innovation is the core of it, and you will see more products come from us that integrate and simplify the customer experience so it does become easier and more enjoyable. In my early days of boating we were still using sextants and compasses. When going offshore it was all about safety and levels of skills and certification, and operating a boat seemed to be a job for trained specialists. What we’re doing with system integration is enabling people with less experience to enjoy themselves on the water, as well. At the same time, we recognize that we need to deliver value — to our OEMs and to our end users. 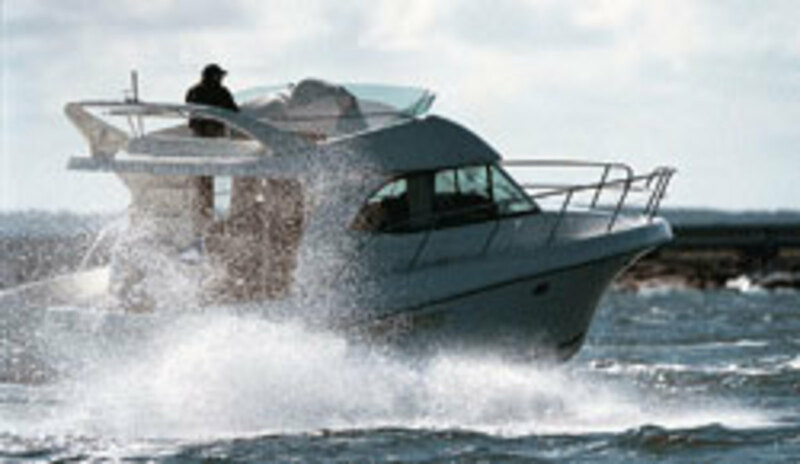 A boat is a discretionary item, and it’s vitally important to keep boating affordable. So we are keeping an eye on costs and making sure we bring to market the things that people want at an affordable price. Q: What are you seeing in the yacht segment? A: I think everyone is hesitant about making predictions about the market in general. Overall in the marine leisure market, we see it as an up market versus a down market. We see it starting to try to recover. At the boat shows people seem positive. I liked what I heard from the CEO of AutoNation — at the end of December, the housing market firmed up, we got a bit of a boost in employment and people are going to get on with life and the pursuit of happiness. Life’s too short to sit on the sidelines. Our core sterndrive business has been sluggish, to be sure, given the falloff in new-boat sales the last five years, but it seems to be stabilizing. And we’ve kept up our investment in new-product development, introducing our new high-performance V-8 gas engines. Our inboard business is stable, especially when coupled with our IPS. Because of the improved fuel efficiency Volvo Penta provides a great option in a segment that, maybe 10 years ago, we weren’t as much of a player. On the mega- and gigayacht segment, that’s not typically been a segment we serve. We supply engines for yachts up to 80 to 100 feet, and that marketplace seems to be fairly stable. It’s worthy to note that on the commercial marine side, Volvo Penta provides engines for tugboats and offshore supply vessels up to 200 feet, so we are certainly capable of providing power for larger yachts. If you look at the stability of the product line we have with our engines, our transmissions and our electronics tied together, you’ll see we aren’t a component company, per se. Our business is integrated systems based on stable, proven platforms. That stability is a key advantage that we offer. Q: How is Volvo Penta’s marine business doing worldwide? In the Americas? I’m curious to know if and how market share has shifted. A: Our sales were up last year, and I think that’s an important point. They were up on the marine leisure side especially and are forecasted to be up this year again. From a financial perspective we’ve had to really keep costs under control, as the boatbuilders have. If we had had to rely just on gas engines in the last few years it would have been a difficult time, but because we have this breadth of platform we were able to offset some of that softness in the marketplace. We can’t do anything about the market, but we can make sure we respond to it appropriately and continue to offer products that get the customer excited. We’ve got some great competitors and we don’t deny that, but we think that what we’ve brought to the table is innovative. Market share, as with anything, depends on which way you want to measure it. It’s a horse race. One month someone is ahead, and the next month maybe another company gains ground. But we’ve pretty much been stable in the industry. There’s certainly some shift. There are some really key players in this business, whether it’s outboard, sterndrive or inboard. Overall, if you look at penetration in gas engines, we’ve made gains on the higher-horsepower segment. In the lowest horsepower range, the really value and low-cost segment, you saw us making some decisions to exit. That certainly affected market share, but we are making choices based on the market. The diesel segment has made tremendous gains, and whether customers want an IPS system or traditional drive, we are well-positioned. Q: Do you foresee a significant turnaround in the North American recreational boating sector in 2013? Are you ramping up for an upsurge in business? A: From an inventory perspective, we have sufficient capacity. We’ve lowered break-even levels and have built-in capacity to respond to any comeback in the marketplace. We offer our boatbuilding customers very short lead times for our marine gas engines. We’re well-positioned for the upturn. But I’m not sure that’s coming anytime soon. To that point, I think we as an industry shouldn’t ever compare to those high levels of 2006 because I think that was a bit of an aberration, just as the last few years have been a market aberration. I think the new normal is going to fall somewhere in between. We see North America as one of the brightest spots in the globe for the marine market. We think it’s leading the recovery. The size and speed of the recovery are not what we hoped for, but it’s a positive gain. Q: What are you doing to strengthen your distributor and dealer network in the Americas? A: One of the keys to our success in the marine business is our dealers. We have roughly 4,000 dealers in 130 countries. We will continue to leverage the strength from our dealer relations and build on that. As I mentioned before, we are strengthening it, especially in South and Central America and the Caribbean to give customers better support. What customers will get from that is faster resolution when issues occur because we will have a faster response time. That’s how we help dealers service customers. We are also stocking additional parts and making sure all of our service teams are trained to provide diagnostics. That’s one of the pieces going forward that’s really the foundation to our business. The investment we make in training for our business partners is how the customers will get what they want from their vessels. The dealer is the key to that. Q: What are some new trends and technologies in marine propulsion? A: The breakthrough that has yet to be eclipsed is still the IPS. There are so many operating units out there that now we’re coming through with more support for those systems. In the industry, no one’s really caught up to that technology. In the gasoline sterndrive leisure market, we’re the only ones to come out with new engines in the high-horsepower class. That is evidence of our commitment to the gas business. We’ve got other products coming out to update and improve fuel efficiency and reduce emissions. We have a lot of exciting products we’ll be releasing that follow along the theme of what we have done in the gas business. The last point is, too, you’ll see in the cruiser and yacht segment the idea of easy boating from advanced integrated systems. Q: How important is it for innovative product to drive new-boat sales? A: I think our industry has been a great example of showing that it’s those new products that have brought new people to the market. I think one of the key issues to address is to stop people from leaving the boating lifestyle. I think the joystick does that. If you look at the shifting going on in the sailboat industry — that population is aging, so we’re seeing a shift from sailboats to dayboats and tugs. If you look at the companies that invest in product, those are the ones who have gained ground. R&D is really expensive, but I think it’s clear in this industry: Those who have innovated have gained from it. Our R&D budgets continue to be quite healthy. Q: What are some examples of regulation driving technology? A: We are making major investments in reducing emissions. Improving the environment is one of the three core values of Volvo Penta, and we believe that companies like ours have an obligation to do our part. If we’re part of the problem, we should be part of the solution. Our new V-8 gas engines, introduced last year in 225- and 380-hp versions, are our most environmentally friendly engines ever. They meet the most stringent environmental standards, including the EPA and the California Air Resources Board requirements. You will see more developments along these lines from us moving forward. Volvo Penta is very well-positioned for emission regulations. We’re able to leverage what we’ve already done on the highway in Volvo’s trucking group, so we have technology already developed and we’re working on introducing it to the marine market. Those who don’t have the ability to develop that in large volume will have a very high overhead. Q: Do you see hybrid systems or natural gas systems in the future for recreational marine applications? A: The Volvo Group has the capability to provide natural gas and hybrids across the board. We’re already doing it in trucks and buses. When it comes to the recreational marine sector, natural gas or hybrids are still not in high demand, but we do see increasing acceptance in the commercial marine sector. The entry cost of those technologies for the average consumer is so high that we haven’t yet achieved the economies of scale to get to the point where it makes sense. And even if consumers are willing to pay the premium to implement that today, the infrastructure isn’t there, so you have those hurdles, as well. We have the capability, and we’ll have it available when it becomes viable for the marketplace, but today we don’t see enough demand to transfer that to the marine marketplace. Q: Tell us about the Innovation Award Volvo Penta received at last year’s International BoatBuilders’ Exhibition & Conference. A: We were very excited to take home the award. [The V-8-380 gas sterndrive engine] marks a real transformation in high-horsepower marine engine technology. The old engines we grew up with needed a very large displacement to produce horsepower like that. What we’re bringing to market now is smaller-displacement engines with higher horsepower, resulting in less fuel consumption, as well. It’s 20 percent lighter than the previous V-8 version, 18 percent faster and consumes 12 percent less fuel.